Video: What do you do when not facing mutant marvels and battling in wild mental planescapes in Legion? If you’re Dan Stevens, you apparently spend your time investigating old-timey cults that are proooooobably up to no good. Directed by Gareth Evans, the writer/director behind The Raid, Netflix’s Apostle follows Stevens’ character Thomas Richardson at the dawn of the 20th century, as he attempts to free his sister from the clutches of a religious commune lead by an enigmatic spiritual leader (played by a delightfully accented Michael Sheen) on their island “utopia”. 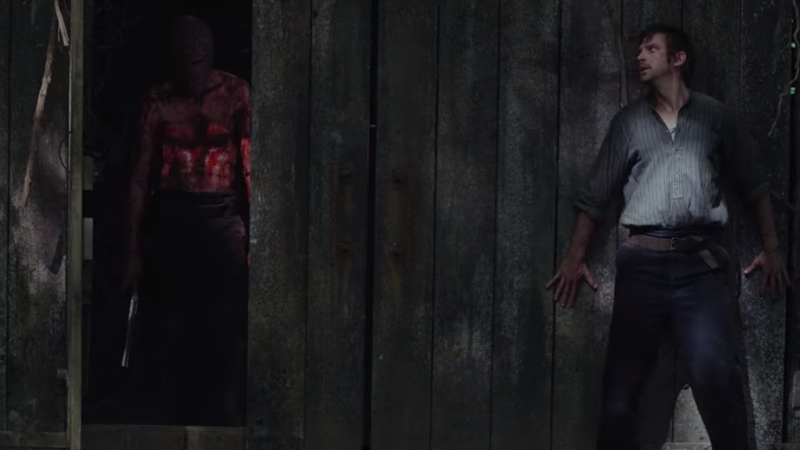 It’s kept vague enough that Apostle could just be your run-of-the-mill cult horror movie, but there’s a few moments in this trailer, including a very bloody-looking creature/guy that stalks Thomas in the latter half, that makes it seem as though there’s potentially something a bit more supernatural behind Michael Sheen’s creepy cultist power hour. We’ll find out on October 12, when Apostle hits Netflix.